The founder of Cadbury, actress Dame Julie Walters and activist Malala Yousafzai have been voted as some of the most inspirational Brummies, following a public vote in celebration of Birmingham City University’s 175 years at the heart of Birmingham life. After more than 1,500 votes from the public, an initial long-list of 175 ‘Brummies Who Inspire’ has been whittled down to ten, with musicians Ozzy Osbourne and Duran Duran’s John Taylor making the final list alongside ‘Lord of the Rings’ author J. R. R. Tolkien. 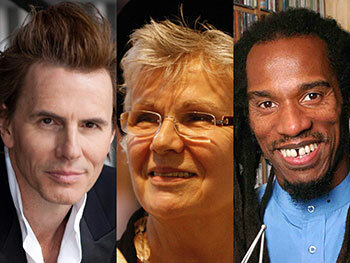 Completing the list of ten are Olympic gold medallist Denise Lewis OBE, philosopher and chemist Joseph Priestley, poet and writer Benjamin Zephaniah and historian Carl Chinn. The ten ‘Brummies Who Inspire’ will be announced at a special concert tonight (Thursday 15 November) at Royal Birmingham Conservatoire, where some of the most iconic pieces of music created by Birmingham artists will be performed. Birmingham City University’s roots date back 175 years to the foundation of Birmingham Government School of Design in 1843, the forerunner to the present day schools of Art and Visual Communication. Professor Philip Plowden, Vice-Chancellor at Birmingham City University, said: “It has been great to see the passion and the debate that this vote has inspired. “These ten inspirational Birmingham figures come from a variety of professions and walks of life, but are united by their contribution to this astonishing and vibrant city. Their creativity, dedication and ingenuity epitomises the spirit of our great city. The celebratory evening of entertainment will be hosted by newsreader and television and radio presenter John Suchet. For more information and to book tickets visit bcu.ac.uk/175.